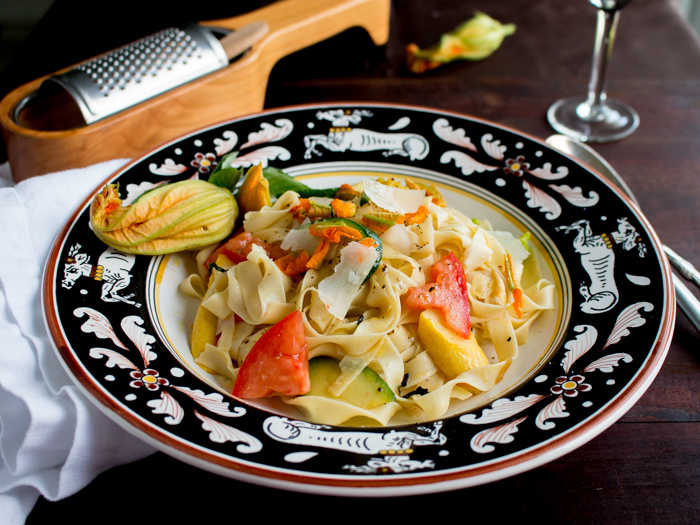 Homemade Tagliatelle Pasta with Zucchini Blossoms is one delicious bite of freshly made pasta tossed with caramelized onions, garlic, saffron, heirloom tomatoes, zucchini and zucchini blossoms. 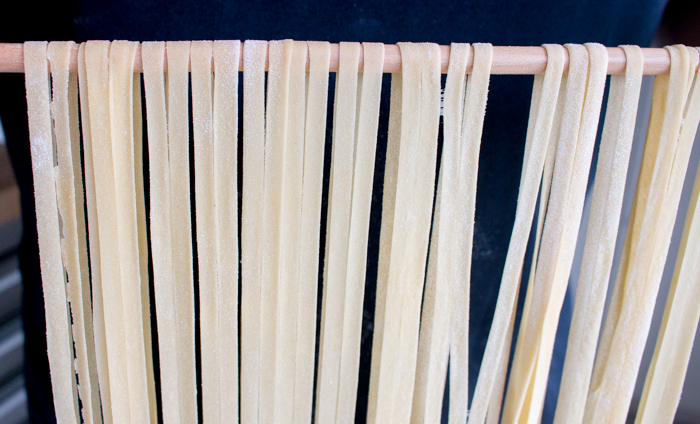 Don't miss our Time Saving Tips for freshly made pasta! 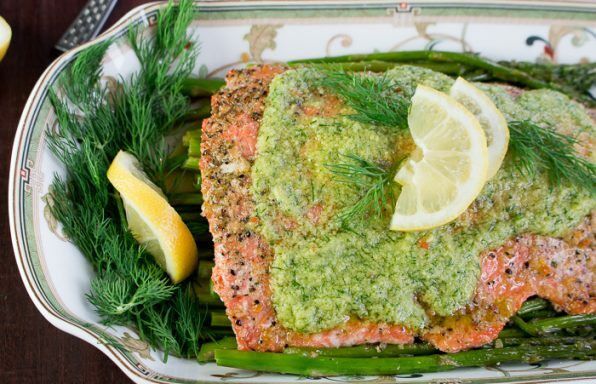 It is the "Delicious Italy Celebration" here on Healthy World Cuisine (HWC) Magazine. 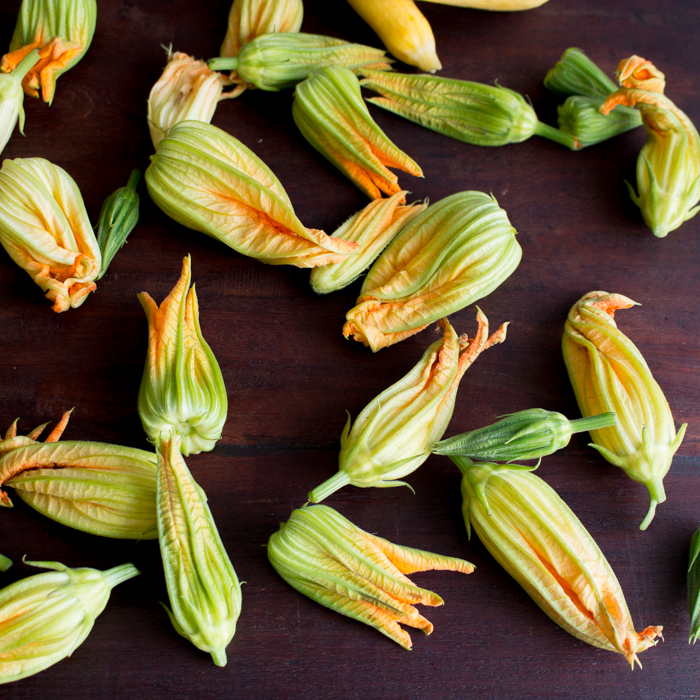 Last week we celebrated with a delicious starter of Baked Ricotta Stuffed Zucchini Blossoms. Today we are celebrating with Homemade Tagliatelle Pasta with Zucchini Blossoms. 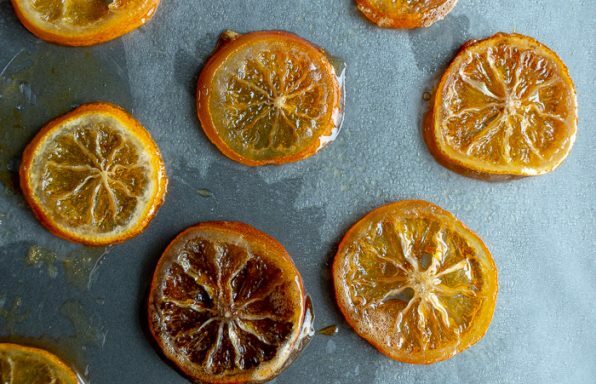 Simply delicious and Seasonal! Zucchini (Courgettes) are in season and so are the zucchini blossoms. 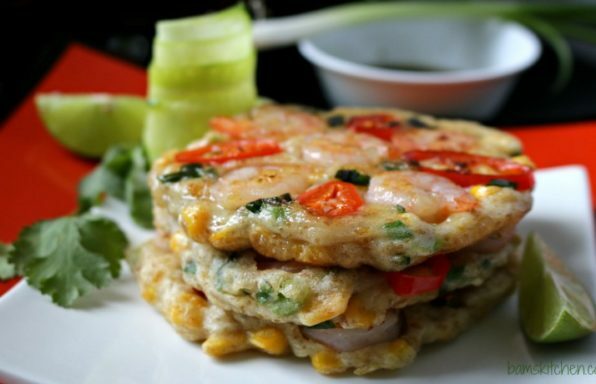 We are making most of the summer season by serving up 2 recipes with the delicious zucchini vegetable and blooms. 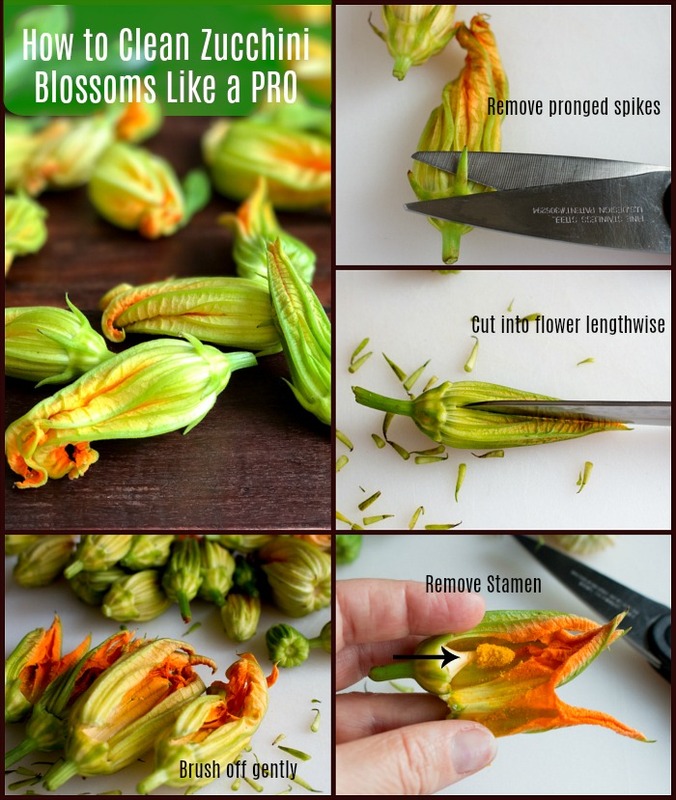 If you missed our last post on how to clean and prepare zucchini blossoms, check out our post HERE. 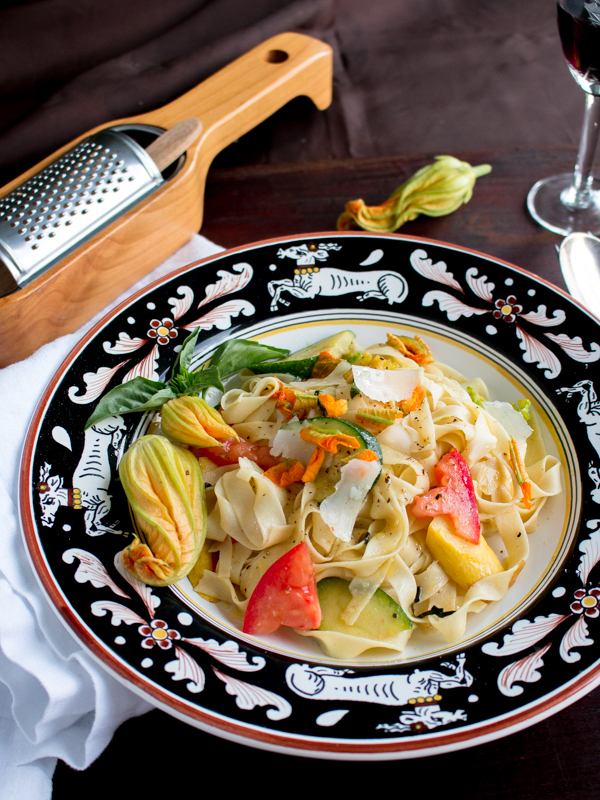 Today we have the most simply beautiful Homemade Tagliatelle Pasta with Zucchini Blossoms recipe with delicate flavors and textures that is elegant for guests but simple enough to make on a weekend for family. Zucchini flowers taste like a delicate version of the zucchini vegetable. We used gently sautéed baby zucchini, summer squash, zucchini blossoms and fresh heirloom tomatoes to embrace the seasonal produce in this recipe. Making from scratch pasta is a great way to get family and friends involved with the cooking process. They are going to love making the dough, kneading the dough and rolling it out. Wine in one hand, kneading with the other… A Great activity for a Friday night after a stressful work week. Just call it a “Little Italian Therapy” Lots cheaper than a therapist and a lot more fun! You could most certainly use pre-made dried Tagliatelle or Papperelle pasta for this recipe and we won’t tell a soul. However, once homemade pasta you will never eat the pre-made boxed pasta again. You can certainly make your pasta from scratch without any shortcuts just like grandma taught us but just make sure that you roll your dough super thin. Thin enough that you could read a newspaper underneath. Have you seen our post on how to make Tagliatelle Alla Bolognese from scratch the REAL Italian way? Be sure to check it out if you do not have a pasta maker. We took some short cuts in the kitchen to keep the delicious taste and texture of homemade pasta but with LESS LABOUR. Used the food processer to just quickly make the pasta dough instead of manually incorporating the eggs into the double 00 flour on the counter. Used a little dash of olive oil in the pasta to make it soft and supple. Used the Marcato Atlas pasta maker instead of hand rolling and cutting the tagliatella pasta. Used the Marcato Atlas Pasta maker to cut the Tagliatelle pasta. 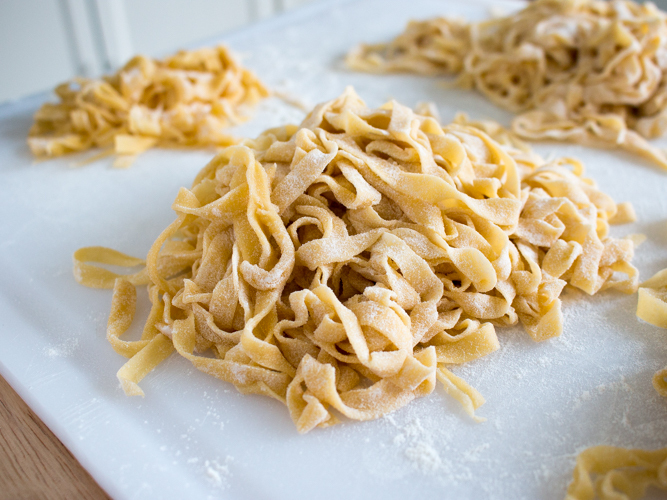 Use double 00 flour which is ultra-fine flour for the best delicate taglietella. Eggs in US are much smaller than eggs in Italy. Needed to use 2 full large free range eggs, 1 tablespoon oil to 1 cup double 00 flour. The goal is to have a dough that pulls together that is not too wet nor too dry but just perfectly pliable and supple. 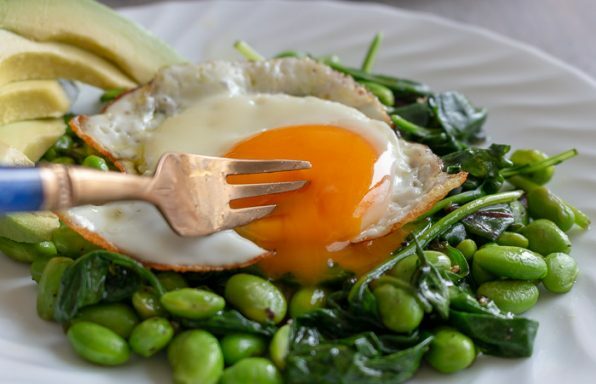 Depending on the size of your eggs, you may have to either increase by adding another yolk or decrease by removing the egg white of one egg. Do NOT add water! Blend using the food processor just until the ingredients (Double 00 Flour, eggs and olive oil) have combined, NOT a moment longer. If you blend too long in the food processor, the glutens will start to activate and make your dough tough. To salt or not to salt your pasta dough. You can if you wish but we just prefer to boil our pasta is salted water. 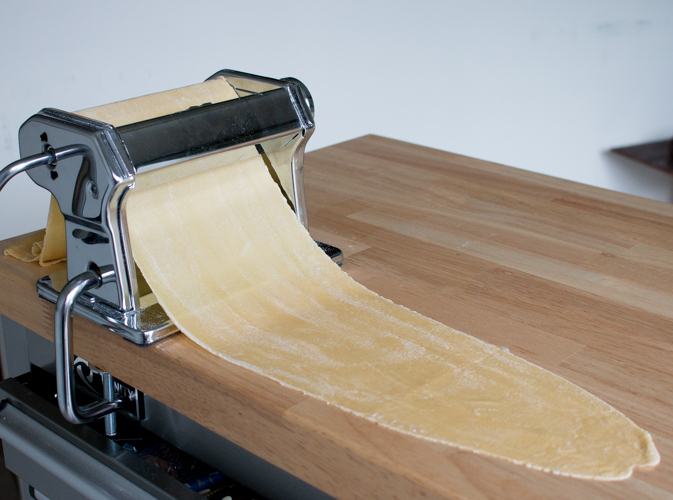 We rolled out our pasta dough with the Marcato Atlas Pasta maker to number 7. Number 7 is perfectly thin and a and nice texture for Tagliatelle pasta. If you are rolling out your pasta dough by hand make sure it is thin enough that you could read a newspaper headlines underneath. That is how you know that you could get your pasta thin enough. If you are using a pasta maker, only put in half of the dough at a time. To make sure that it rolls out smoothly, start out at 0 and then run through number 1 twice. Then, decrease your settings 1 notch at a time of roll out. Make sure to lightly dust with double 00 flour along the way to prevent sticking. 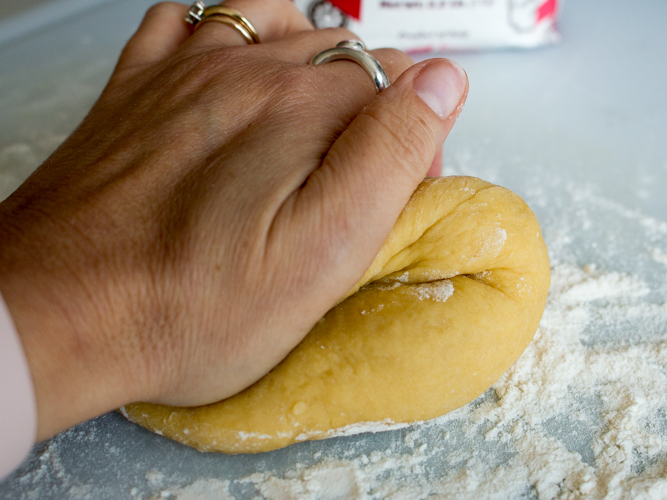 Cut your dough in 3rds lengthwise before running it through the pasta cutter as you don’t want it too long as it is more difficult to manage and eat. 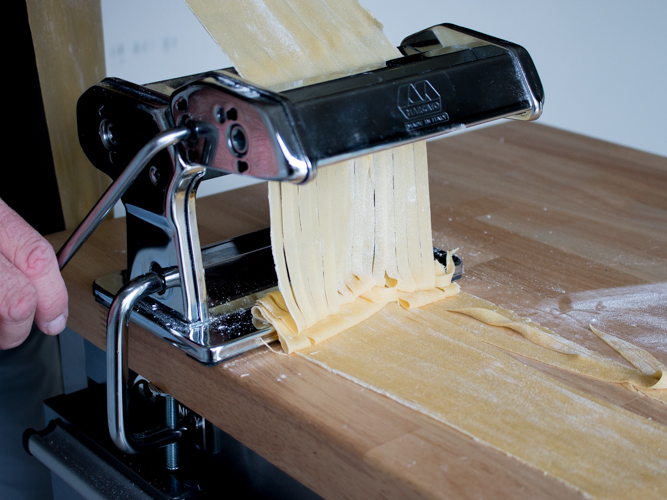 Using the tagliatelle cutter run your pasta through. 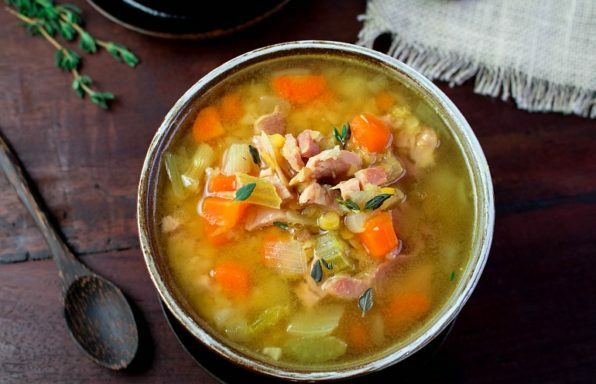 If using immediately you can toss in a little 00 flour and set aside. If not using the noodles immediately you can dry on a hanger. Make sure that you boil your fresh noodles in lots of fresh salted water. For example, we used our 8 quart pasta pot ¾ filled with well salted water to cook a small handful of pasta. The more room your pasta has too cook the happier your pasta will be. 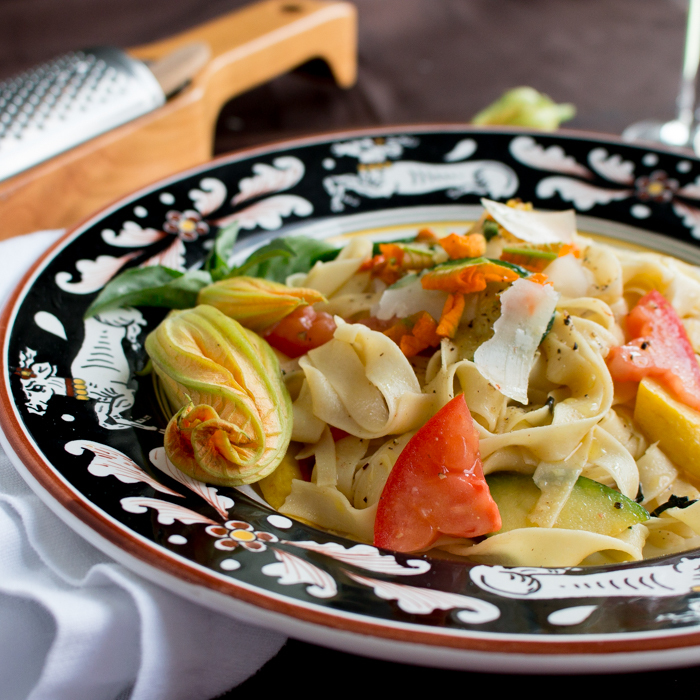 Reserve some pasta water to make your Homemade Tagliatelle Pasta with Zucchini Blossoms to thin the sauce. Use baby or small zucchini and summer squash for your Homemade Tagliatelle Pasta with Zucchini Blossoms as they are more tender and delicate. Now that your homemade pasta is ready, Just simple toss with a little caramelized onions, garlic, zucchini and summer squash, zucchini blossoms, pinch of saffron and some shavings of parmesan and enjoy! 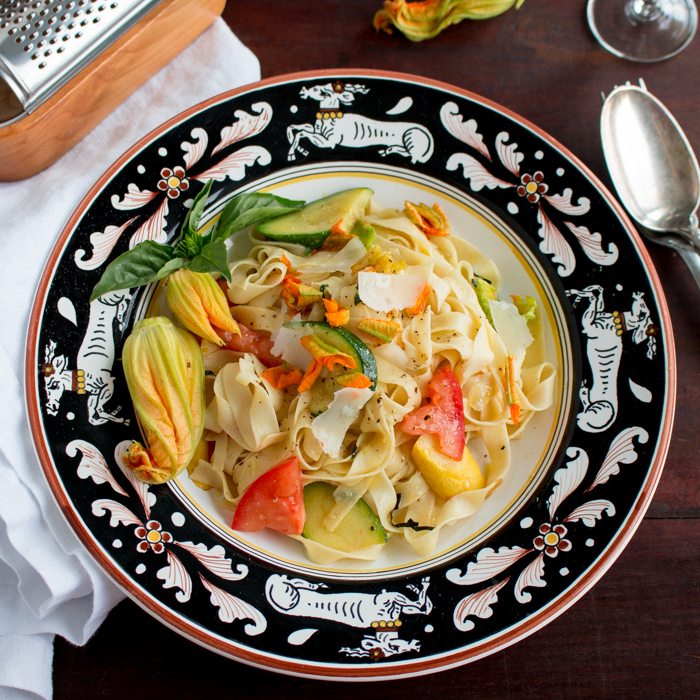 Homemade Tagliatelle Pasta with Zucchini Blossoms is simply delicious and so easy to make. Zucchini blossoms – 6-8 medium wiped clean with damp cloth, if needed, stamen removed and roughly chopped. 1Make the fresh pasta- In a food processor mix eggs, double 00 flour and olive oil just until incorporated. DO NOT OVER MIX! 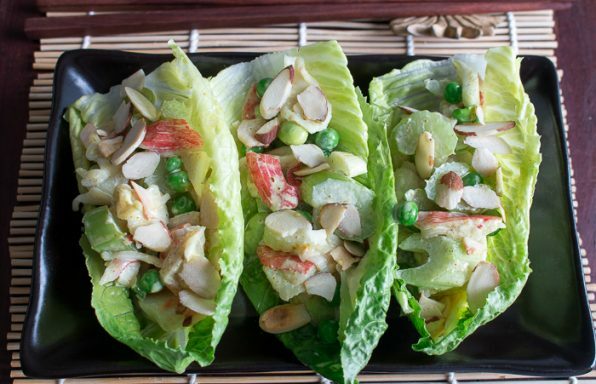 Remove from food processor and wrap in plastic wrap and set on counter to rest for at least ½ hour. 2Make the sautéed Zucchini Mixture- In the meantime, add olive oil onions, garlic, baby zucchini, baby summer squash, saffron and salt and pepper to taste and saute for about 3- 4 minutes until the zucchini are tender. Set aside. 3Remove fresh pasta from the plastic wrap. Flour your board with a little double 00 flour and knead pasta dough for about 5 minutes until soft and pliable. If too wet add a little more double 00 flour. If too dry you can add a little olive oil. You want the consistency to be like fresh “Play Dough” – You remember when you were a kid? Just like that. 4Now cut your pasta dough in half into 2 pieces and make into 2 circle flat disks. 5Set your Marcato Atlas pasta maker to level 0 and pass your pasta dough through once while cranking. Next, set your Marcato Atlas to level 1 and run your dough through twice. Then switch your Marcato Atlas pasta maker to level 2 and crank through. Hold on to the dough with one hand in front and crank. It is best if you can have 2 people help with this process so one can guide on the way out and one can guide the pasta dough in, but it is not required. Sprinkle your pasta dough with a little double 00 flour along the way so it does not stick. Keep changing the level dial from 1-7 and pass your pasta dough through the pasta maker. At level 7, your pasta is nice and thin and you should be able to ready the newspaper headings underneath. Sprinkle your dough with double 00 flour and fold over itself and cover with a damp tea cloth while you add on the tagliatelle cutter attachment. 6Cut your long think level 7 pasta dough into 3 sections lengthwise so it is easier to manage. 7Pass one of the number 7 level pasta dough though the tagliatelle cutter attachment and crank. It is great if you can have one person feeding the dough in while cranking and the other person grabbing gently on to the fresh pasta as it is cut with the pasta making device. 8If you are going to be using your pasta immediately, then just toss in a little double 00 flour and set aside. If you are not going to be using your pasta right away, you can dry it by hanging it on a wooden hanger. 9Bring your well salted pasta water to boil. Add your fresh pasta noodles and cook for about 60 seconds to 2.5 minutes. Do NOT overcook your pasta. Keep an eye on your pasta and taste the pasta after 60 seconds. Reserve 1 cup of pasta water and set aside. Drain pasta once at the aldente stage- with a nice bite texture. The best way it to just take a taste test and bite into a noodle. 10Add tomatoes, zucchini blossoms into the sautéed zucchini mixture and sauté just until the “zucchini blossoms” are wilted. 11Combine- Toss in your cooked tagliatelle pasta noodles and fresh basil into the sautéed zucchini mixture and sprinkle with a little fresh grated parmesan cheese.